Y'all, fund and awareness raising is a full time job. Yes really. I didn't think so either, but it is. Kudos to those who do this as an occupation. 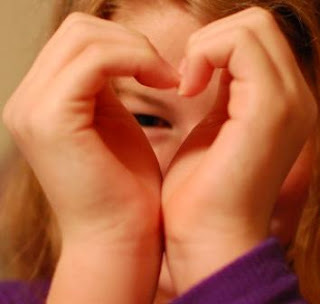 We are over the 25% mark and have now begun our next part of the campaign which involve people from around the globe taking pictures of themselves with their hands in the shape of a heart and sending them to us. They are being collected and will be in a photo gallery on the campaign website. Our goal is to have all states and most continents represented (would LOVE for someone to hook us up with Antarctica to make a full set). We have the coolest responses to this request. News teams, sports announcers, athletes, musicians, office workers, tourists, military service men, children, civic groups, even Ronald McDonald, etc. have all sent in photos in support of Anthony. And let me tell you, the boy has lapped. it. up. He gets so excited to see from where the photos came. It has been a beautiful show of support from all over the world - from people that don't even know this little boy. With all the meanness in the world, it does a heart good to see the global community come together in such a positive way. 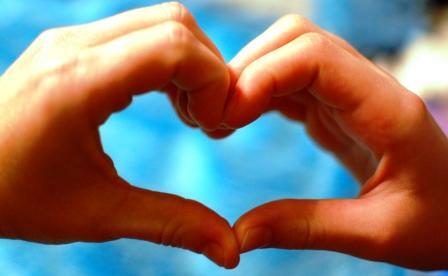 If you want to take part, please feel free to send me a picture of "heart hands" to parymoppins (at) ymail (dot) com. Serious brownie points to anyone who can get me something from Antarctica, Santa (at Anthony's request), a President (he didn't care which one), the actor who played R2D2 in Star Wars (how would he even know what that actor looks like), or the International Space Station. This week I am teaching two classes and get to draw a name for a fundraising drawing. Engineer and I will be attending a wedding and Diva started off the week with Junior Daughters of the King and a music theory test. It's nice to have a slightly slower paced week coming up. Don't forget the drawing for a strand of pearls!